Discover the story of Sharpstown from Micah Fields, recipient of the Oxford American‘s 2018-19 Jeff Baskin Fellowship. Sharpstown is a neighborhood in Houston that was one of America’s first master-planned subdivisions, and where much of Micah’s family lives. Micah Fields is a writer from Houston, Texas. He’s published essays and photography for the Oxford American, The Baffler, Columbia Journalism Review, Sonora Review, War, Literature & the Arts, and elsewhere. 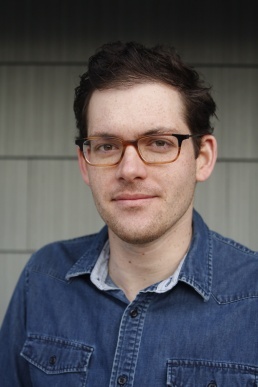 He holds a BA from the University of Montana, an MFA from the University of Iowa’s Nonfiction Writing Program, and is the recipient of the Oxford American’s 2018-19 Jeff Baskin Writers Fellowship. He served in the Marine Corps infantry from 2007 to 2011, and is a combat veteran of two deployments in Iraq and Afghanistan. His book about Houston and its story of development and storms is forthcoming from W.W. Norton. CONTACT Potluck & Poison Ivy301 Main St #202North Little Rock, AR 72114 info@potluckandpoisonivy.org PITCH YOUR STORY Got a cool story you want to share? Shoot us an email and pitch it to us in 200 words or less. SUPPORT THE ARTS We have many ways for you or your organization to get involved as a sponsor of Potluck & Poison Ivy. Please click the link below to learn more. By filling out the form below, you are authorizing Potluck & Pøison Ivy to charge your credit card $100/month. Your card will be billed today, and going forward each month until you decide to cancel by contacting us at info@potluckandpoisonivy.org. By filling out the form below, you are authorizing Potluck & Pøison Ivy to charge your credit card $50/month. Your card will be billed today, and going forward each month until you decide to cancel by contacting us at info@potluckandpoisonivy.org. By filling out the form below, you are authorizing Potluck & Pøison Ivy to charge your credit card $25/month. Your card will be billed today, and going forward each month until you decide to cancel by contacting us at info@potluckandpoisonivy.org. By filling out the form below, you are authorizing Potluck & Pøison Ivy to charge your credit card $10/month. Your card will be billed today, and going forward each month until you decide to cancel by contacting us at info@potluckandpoisonivy.org. We have many ways for you or your organization to get involved as a sponsor of Potluck & Poison Ivy. Please fill out the form below to learn more.